A public meeting with angry residents and eager reporters is a common feature on the local news. Whether addressing environmental, or other issues, the experience for the board members, consultants, and specialists at these meetings ranges from uncomfortable to nightmarish. The issues discussed in these meetings usually stem from years of community disappointment, mistrust, fears, factions, political or social positioning, or all of the above. Industry faces a labyrinth of environmental and business regulations, and unique challenges in dealing with the public and the media. 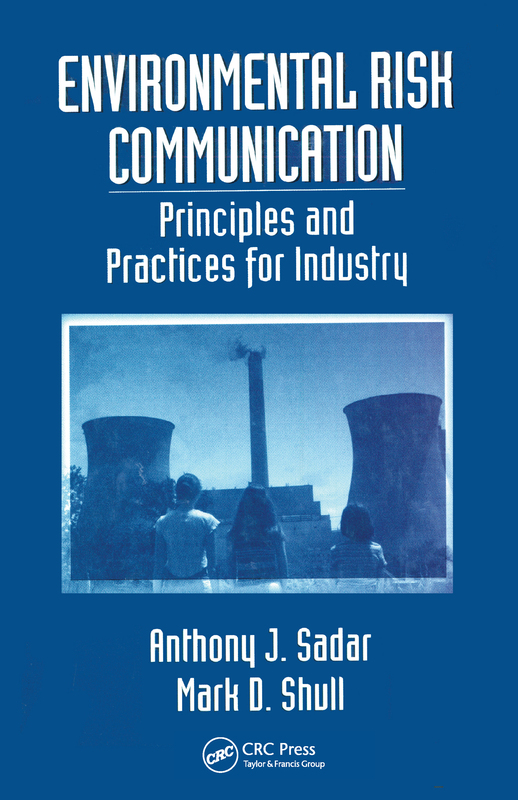 Environmental Risk Communication serves as a guide to understanding and complying with the Federal Risk Management Program and applying risk management and communication principles to daily plant operations. This book also helps Risk Management Plan (RMP) facilities successfully meet the new Federal requirements for public disclosure of RMP offsite consequence analysis results and provides techniques for communicating effectively during environmental emergencies. Written in a straight-forward, no-nonsense style the book presents concise informative chapters, flow diagrams, checklists, and a thorough index. The authors present step-by-step instruction on developing a principled plan of action that generates open communications. CEOs, Corporate Communications Specialists, Plant Managers, Environmental Compliance Supervisors, Health and Safety Officers, Environmental Scientists and Engineers, and Consultants will benefit from Environmental Risk Communication. Why Are You in Business, Anyway? "All You Need to Determine Risk is a Ruler"